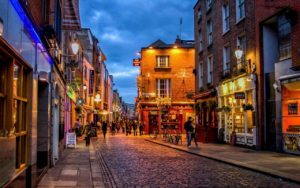 If you’ve been to Dublin or plan on traveling to Dublin, you should definitely be familiar with Temple Bar! Temple Bar is not just a bar, it encompasses an entire area on the south bank of the River Liffey. Throughout Temple Bar you will find dozens of pubs, great food, shopping, as well as an enticing nightlife. 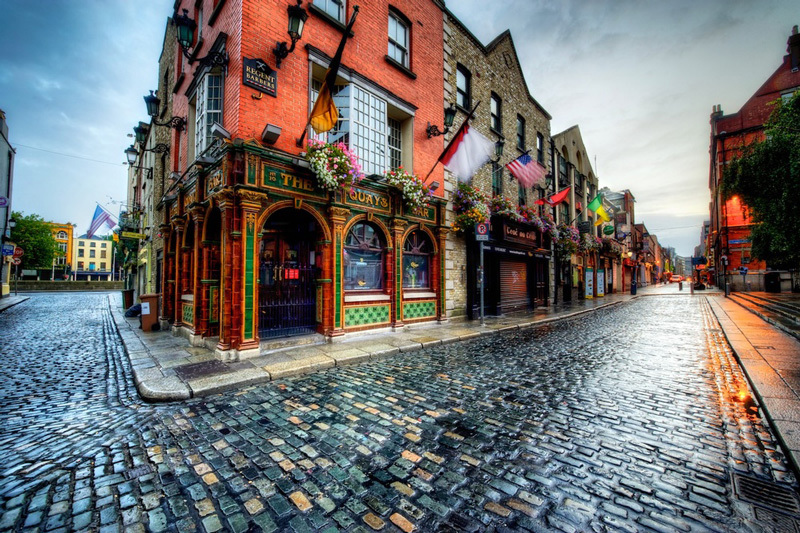 Originally Temple Bar was referred to as St. Andrews Parish back in medieval times. It was first a suburb, located outside of city walls. The area became barren during the 14th century due to attacks by the native Irish. The land became populated again in the 17th century. The area was used to create gardens for the houses of wealthy English families. 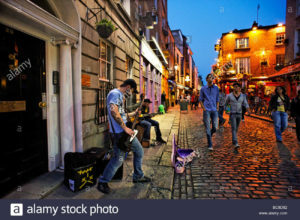 It is said that the street known as Temple Bar received its name from the Temple family, whose ancestor Sir William Temple built a house and gardens there in the early 1600s. 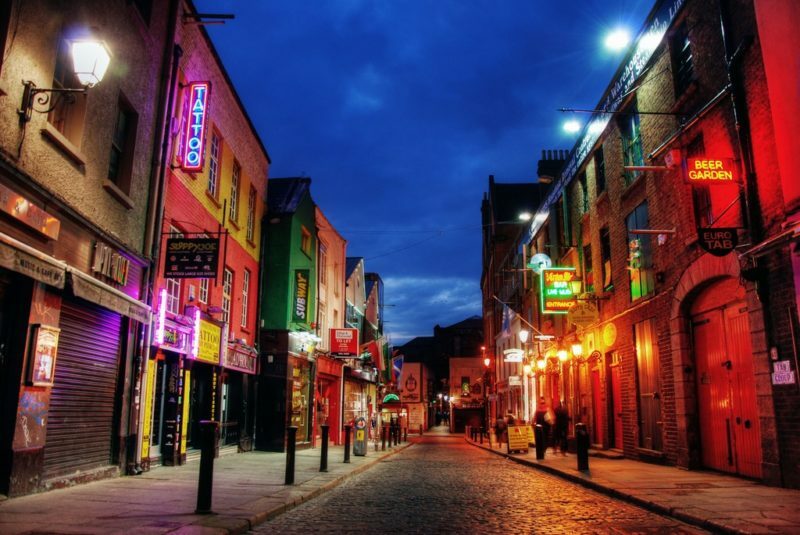 Despite this lineage, the name of Temple Bar streets are said to have been inspired by the Temple Bar district in London. 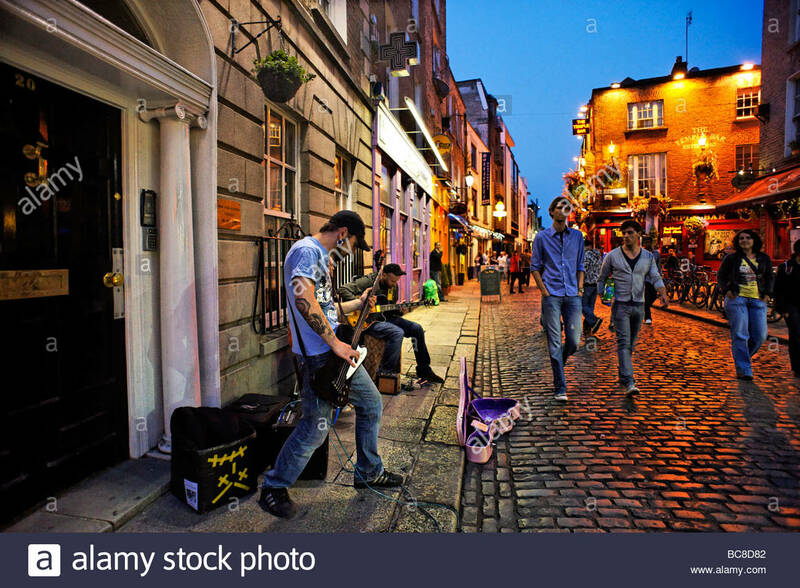 Today, Temple Bar is home to many Irish cultural institutions such as the Irish Film Institute, Project Arts Centre, and the Irish Stock Exchange. After the sun sets, the area fills with locals and tourists for a fun evening of nightlife. 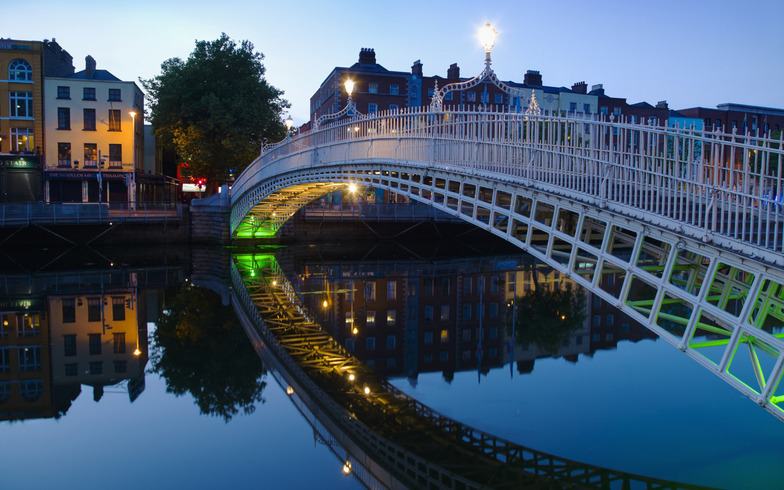 Some popular pubs include The Temple Bar Pub, The Porterhouse, The Oliver St. John Gogarty, and the Quays Bar. The two squares within Temple Bar have been refurbished within recent years. Temple Bar square hosts a book market on Saturday’s and Sundays while the Meetinghouse Square is used for showing outdoor films throughout the summer months. There is also a food market every Saturday that takes place in Meetinghouse square. Don’t miss out on these awesome opportunities!